If you’re located in Jackson, Michigan and have been looking to lease or purchase a MINI vehicle, MINI of Ann Arbor invites you to come enjoy a world-class shopping experience. We offer special incentives along with a complete selection of both new and pre-owned vehicles which make it simple to find the right car for your needs. Once you visit MINI of Ann Arbor, you’ll understand why drivers from all across Michigan and neighboring states continue to choose us for all of their automotive needs. If you’re drawn to the iconic MINI Hardtop 2 Door or the stylish MINI Clubman — MINI of Ann Arbor offers a complete lineup of the latest MINI vehicles. Our staff eagerly invites you to browse our extensive inventory online or stop by in-person to experience all that the MINI lineup has to offer. Searching for the perfect pre-owned vehicle? You’ll find a huge selection of MINI Certified Pre-Owned vehicles along with a variety of other quality used models at MINI of Ann Arbor. Hand-selected by our professional team, each one of these vehicles undergoes a rigorous inspection and reconditioning process before being made available to our customers. Shop with peace of mind and complete confidence at MINI of Ann Arbor. 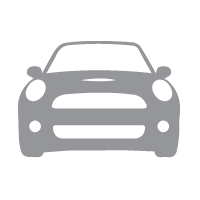 At MINI of Ann Arbor, our goal is to make sure that your personal needs and budget requirements are met. 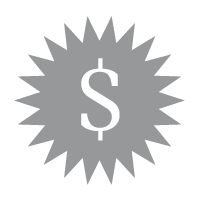 No matter if you intend to buy or lease your next vehicle, MINI of Ann Arbor is on your side with the latest MINI specials, incentives, and offers to maximize your savings. If it’s your first time buying a car or if your credit is less than stellar — our team is standing by to help get you behind the wheel. 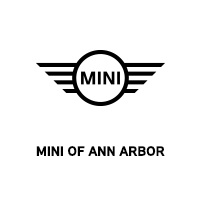 MINI of Ann Arbor offers a complete selection of high-quality OEM MINI replacement parts, components, and accessories. 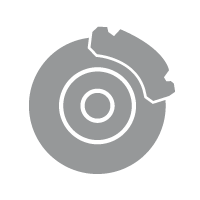 Engineered to the exact specifications of your vehicle, Genuine MINI parts are the best way to keep your vehicle performing as it should. For those looking to give their MINI a personal touch, you’ll find plenty of unique options at our online parts & accessories store. Along with our monthly specials, MINI of Ann Arbor offers some of the most competitive lease rates and great finance deals. Our factory-maintained MINI demo vehicles are gently driven before being made available for sale with impressive discounts. Our team of finance professionals will work alongside you to help you save big on the MINI vehicle of your dreams. Only 34 miles separate drivers in Jackson, Michigan from the exceptional MINI experience that’s found at MINI of Ann Arbor. Conveniently located near you, we’re proud to serve drivers in Jackson. Turn left onto N Francis St. Turn left onto Cooper St/MI-106. Merge onto I-94 E toward Ann Arbor. Take EXIT 172 toward I-94/Ann Arbor. Stay straight to go onto Jackson Ave.